But did you also know that this factory in the Scottish Borders was where the flames of love were ignited for many? 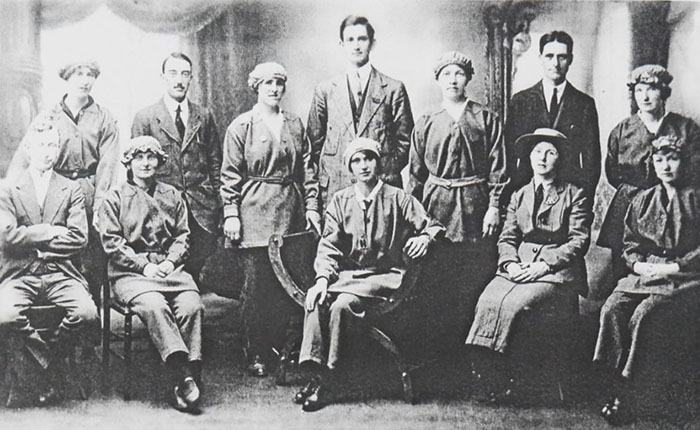 At that time, around 30,000 workers flocked to the weapons factory for employment during the early 1940s – more than a third of the workforce (12,000) were women. And during the conflict, love blossomed between the male and female workers on, and off, the shop floor. Now, to celebrate love during wartime Scotland, an exhibition has been launched by the Devil’s Porridge Museum in Eastriggs, Dumfries and Galloway, called Love in Wartime. 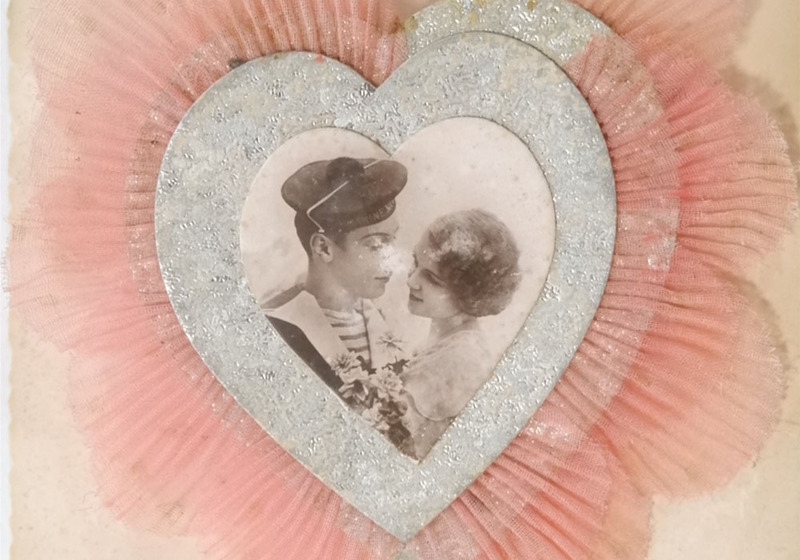 And with Valentine’s Day just around the corner, it is the perfect place to visit with your loved one as stories of courtships, marriages and illicit liaisons of those thrown together during WWI are told. It is also just five miles outside the romantic and picturesque village of Gretna Green. “It really was a hotbed of romance,” said museum manager and exhibition curator Judith Hewitt. “The majority of the girls were aged 17 to 20 and this was well-paid work, much more so than they would have earned in domestic service or working on the farm. “They had more spare money than they’d otherwise have had and they lived in hostels, which was very different for them and with more freedom. It seems like a lot had a good time, with dances in Carlisle where they’d go drinking,” added Judith. The factory workers did not only find romance on nights out in Carlisle, as courting also took place at the cinemas set up in the two townships to house the workers, at Gretna and Eastriggs, where the Devil’s Porridge is located. Did you know that the museum has gone from a few display boards at the back of a church to a modern, purpose-built facility, attracting up to 20,000 visitors a year? Its latest Love in Wartime exhibition, which looks at the romantic connections from both the First and Second World Wars, has been put together from largely unseen material amassed over the past 30 years. 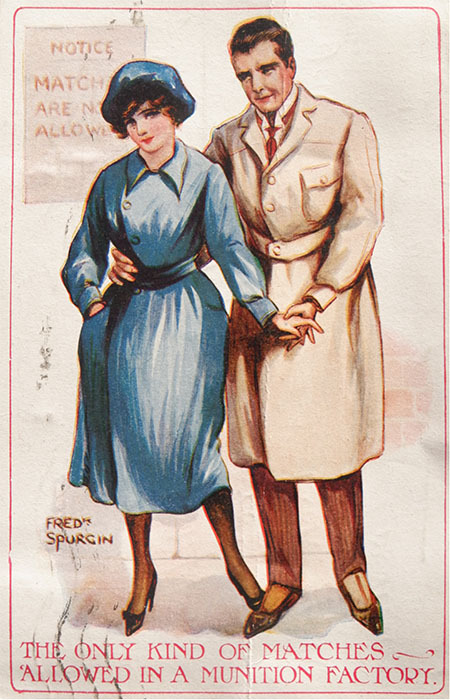 As well as untold stories of love, marriage and tragedy during the wars, it will also have on show a WWII wedding dress made from net curtains because of rationing, and a series of touching postcards (like the one pictured below) sent from a husband in the trenches to his wife back home. One romantic story is that of Eastriggs resident Sheila Ruddick, who is a secretary and trustee at the museum. She knows all about how Cupid struck for those based at the site – her great aunt met and married there in the First World War and her mum wed her dad, who was based there, during Second World War. Exhibition curator Judith hopes the Love in Wartime exhibition, which is open from 10am to 5pm (Mondays to Saturdays) and 10am to 4pm (Sundays) will paint a fascinating picture of love in a different time. “The marriage rate increased in both world wars,” added Judith. “In such urgent times, people had more of a live fast, die young mentality when you didn’t know if your lover was going to come back. “There was a ‘marry in haste, repent at leisure’ mentality in this environment where people were thrust together in this exceptional factory. *To find out more about the Devil’s Porridge Museum or the exhibition, click here to be taken to the museum’s website.